How Much Would It Cost To BuyThe White House? 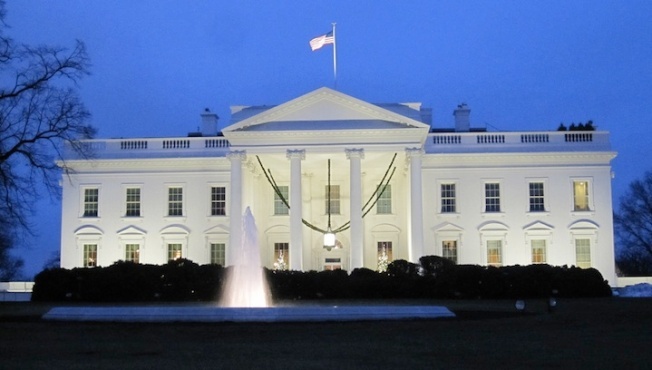 If the White House were on the market, it would cost a staggering $294.9 million. What's the hottest address that money can't buy? 1600 Pennsylvania Avenue, of course. But what if you could buy it? What would the price be? Zillow calculates that as a home that could be bought and sold, the White House would currently cost $294.9 million. That price has increased seven percent since President Barack Obama and his family moved into the White House in January 2009, from $275.6 million. On the average, homes in Washington, DC rose almost 13.6 percent. Though nationally average house values dropped from $164,900 to $156,200 from January 2009 to November 2012, they've risen 5.2 percent from November 2011 to 2012. The price maxed in July of 2006, at $299.9 million, and dipped its lowest in August, when it was an estimated $271.1 million. The up and down prices are in part due to additions and renovations, as well, of which the White House has seen many in the past 200 years. Currently, it is 55,000 square feet with 132 rooms including 35 bathrooms, 16 bedrooms, and three kitchens, and is situated on 18 acres. If, in some fantastical land, you could rent it for a month, rent would be $1.75 million after taxes.